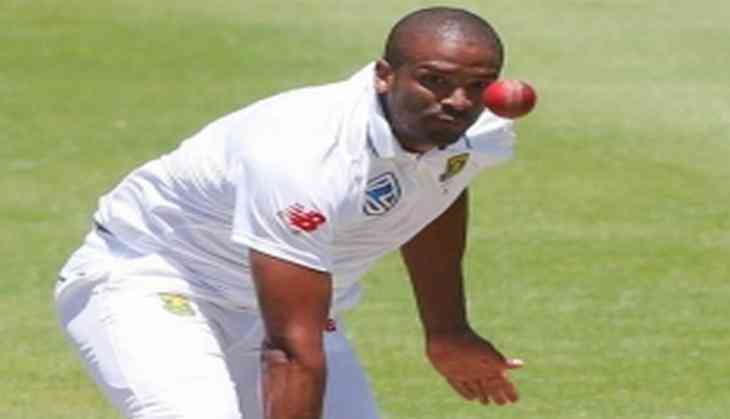 South Africa all-rounder Vernon Philander has been hospitalised with a suspected viral infection, thus adding to the Proteas' woes in the ongoing third Test of the four-match series against England at The Oval. The 32-year-old bagged two wickets by giving away just 17 runs in his quota of 12 overs before leaving the field on the second day of the ongoing Test on Friday. After Philander's condition failed to improve, he was rushed to the nearby hospital for further investigation. Reflecting on the same, team manager Dr Mohammed Moosajee had last evening said that Philander would remain in the hospital overnight as a precautionary measure and that call on his availability would be taken later today.
" Vernon Philander has been admitted to hospital and is being treated for a probable viral infection. He will remain in hospital overnight on intravenous fluids for rehydration and will be reassessed in the morning to determine his participation in the current match," cricket.com.au quoted Mosajee as saying. Philander's unavailability on the field was clearly reflected as England went on to post 353 runs in the innings following a sparkling century from all-rounder Ben Stokes.